There's Web content on just about any topic you can imagine. While the topics and purposes of the content may all be different, the writing strategies you need to know to create effective content are all very similar. In our first lesson, we're going to identify the three key areas you need to understand to make your content effective, whether you want to sell, entertain, or do something else altogether. You'll also find out about a free tool you can use to learn what people on the Web are actually looking for! All writing comes from ideas, so that's where we're going to start this lesson. I'll show you how to bring focus to your ideas using a free, Web-based tool. Then, we'll examine the inverted pyramid writing style and see how and why you should bring the focus of your content to the top of the Web page. 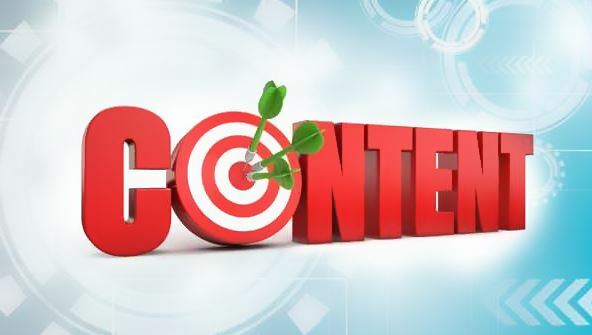 We'll also look at lots of examples of different types of Web content, and we'll examine how we can focus the content and use the inverted pyramid to get the most important information out right up front! Of course, if we want to attract lots of readers to our content, it also needs to be entertaining. So we'll look at some strategies to help you accomplish that too. Organizing Web content is easier than you might think—and it all starts with an outline. If you've dreaded outlining in the past, not to worry. I'll show you some quick tips for making outlining as simple as A, B, C. We'll also look at how headings can help you organize content and chunk information for your readers. Surfers like to scan content for information, whether they're looking for product guides on your business site or the opposing sides of a debate on your blog—and writing effective headings can not only keep readers on your site but also help them find what they want. That's a win for everybody, isn't it? Finally, we'll talk about bulleted lists and when and how you should use them to group information for your readers! We're going to focus on writing content that's easy to understand in this lesson. We often call this type of writing plain language. I'll help you identify the "fluff" in your writing, or the words and phrases that don't add anything but unnecessary word count. The advantage of keeping your writing easy-to-read is that your visitors will understand your message the first time they read it, whether you're talking about your business or a favorite subject on your blog. I'll share some free tools that will tell you how easy your content is to read—and even what grade level it's suited to. And we'll also discuss the indexes and scales the tools use to analyze your writing, so you'll know what the results mean. Do you have products you want to sell? Would you like to know some surefire ways to get more followers for your blog? Are you focused on public awareness for your cause? If you're looking to persuade your readers to a specific course of action, then you'll find this lesson particularly useful. Today, we'll discuss the ins and outs of writing content aimed at persuading readers. You'll find out how to reel in readers using power words and how to keep the search engines on your side with keywords. We'll also talk about the importance of honesty in your writing and how to check for that as you compose your copy. Ready? Let's call those readers to action! The modern Web is often called the social Web—it's a Web where being connected matters a lot. And because connection and online relationships are so important to readers, this is something you'll want to pay attention to. Today we'll look at ways you can build relationships, whether your readers are customers or followers or just interested in what you have to share. We'll talk about the importance of the word you, something salespeople have known for years! And we'll also look at how to create content that engages readers in a conversation—and also the power of positive language. Song birds aren't the only things that tweet! You'll enjoy this exciting journey through the wonderful world of blogs, from personal blogs to content blogs to microblogs like Twitter. In this modern world of social networking, blogging is much more than a way to reflect on your day-to-day life. Blogs, whether long or short, are rapidly becoming an integral part of every business's marketing plan. Research shows that Web readers trust bloggers more than advertising—in fact, 60% of surfers say they feel more positive about a company after reading blog content on its website. This lesson examines what makes an effective blog, and we'll also look at the ever-expanding world of short blogging tools! Driving down any busy city street shows us that we live in a visual world. From neon lights to enormous flashing billboards, we find our attention drawn in dozens of different directions. The same is true on the Web. Text just doesn't do it anymore, no matter how well you've written it. Web readers expect pizzazz! And that's just what we'll be talking about in this lesson. We'll discuss how to find free visuals and multimedia elements on the Web and how to effectively use these elements to enhance your content. Want to add some pizzazz to your Web content? Today we'll explore different types of multimedia that you can include on your Web pages, such as screencasts, slideshows, and videos—and we'll look at how to create educational content using these media. Tutorials are a terrific way to draw in new visitors, no matter what multimedia format you choose. You'll learn how to create tutorials for your blog or website, writing scripts, creating storyboards, and adding screen captures for illustrations. Customer service is easy if you use polls, surveys, and quizzes effectively with your Web content. Plus, these tools can also help you develop relationships with your visitors by learning more about them. Even if surfers leave comments on your blog or website, a poll or survey can help you understand more about their thoughts and needs. Not sure how to write a poll, survey, or quiz? That's what this lesson is all about. Not only that, I'll introduce you to services that let you add free quiz activities to your Web content to give your readers more reasons to visit regularly. Whether your Web content is how you make your living or how you have fun, it's important to know how to protect it from theft. And it's also a good idea to make sure you understand what content you can legally reuse on the Web. Today we'll explore intellectual property laws—specifically copyright and trademark laws—and how they apply to your online content. For this final lesson, we're going to step away from content creation and take a look at three important areas that readers use to place a value on your content. I'll help you identify some of the most common writing errors—and give you tips on how to be sure you've got them right! Of course, the final thing your content needs is a title, so we'll take a look at how to write some great ones. And then I'll guide you through the process a reader takes to evaluate your Web content, which will help you ensure that yours measures up. Once we've finished, you'll be confident you've covered everything it takes to create effective Web content!